Looks like your Heritage Edition has a better design than the LEC. 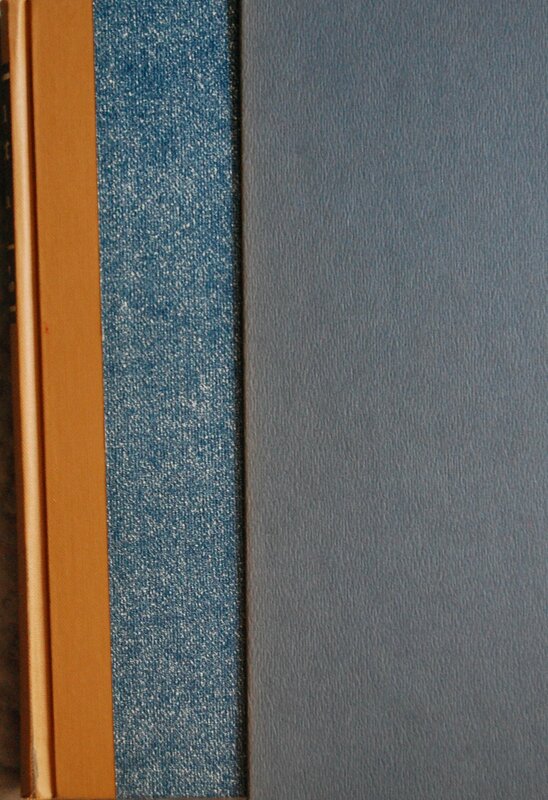 I have the LEC and will be rebinding it next year. The old cover is pretty well shot, but the inside (text and illustrations) are Fine. 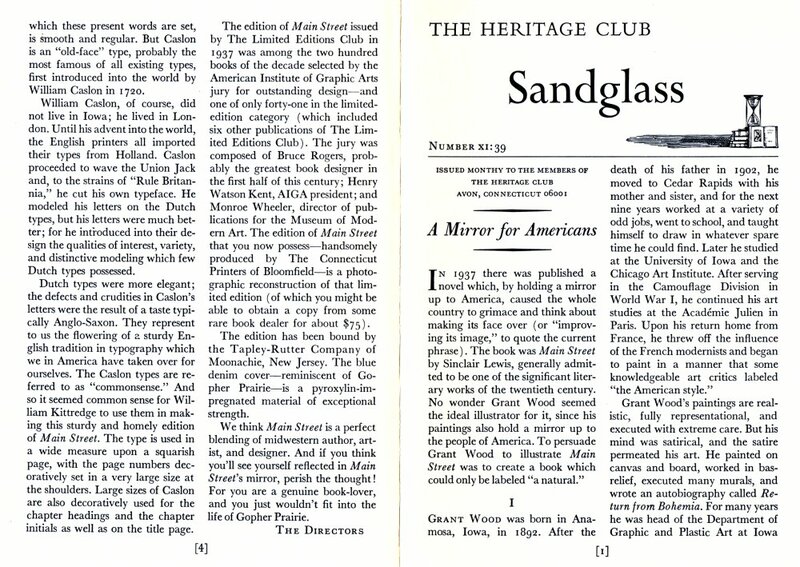 Sinclair Lewis was very popular in the 20s and 30s, and he is still a good read today. I believe he was the first American to win the Nobel prize for literature. Main Street was his diatribe against the denizens of small town America. 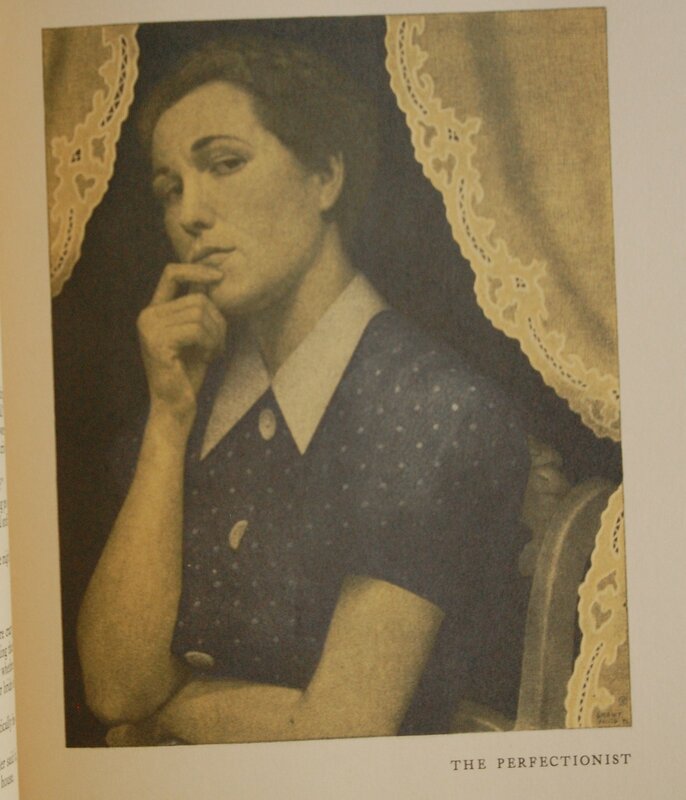 The portraits shown in the book demonstrate the sardonic wit shown by Lewis, but these types are not spcifically called out in Lewis’ book. It is the story of Carol Kennicott, a recent college graduate, who gives up all thought of her own career and marrries Dr. Kennicott and moves to his home town of Gopher Prarie, MN (Lewis was from MN). She enters into her new millieu with thoughts of bringing some culture to the small town. but she is met with substantial resistance by the townspeople who are set in their ways and opinionated against change. Lewis was a very prolific author in spite of his chronic alcoholism, finally subcomming to the disease in the 1950s. Other books by Lewis which helped him to the Nobel prize include Babbitt and Elmer Gantry, both of which are good enough to have been LEC selections. 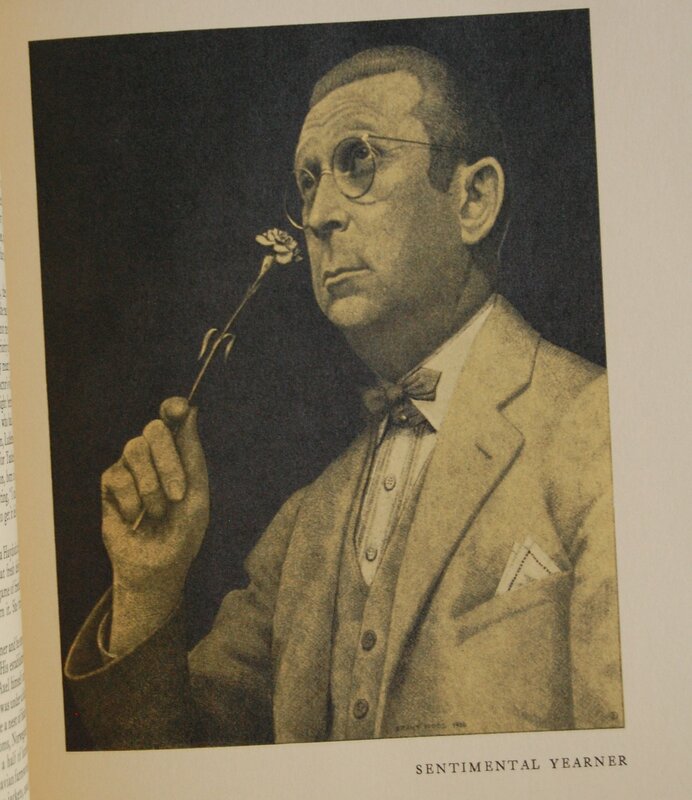 Babbitt, named after the protaganist, George Follonsbee Babbitt, was Lewis’ satire on boosterism and the American businessman. He was so successful at satirizing the businessman that Babbittry, standing for all that was foolish about boosterism and business, became a new word in the English languige. 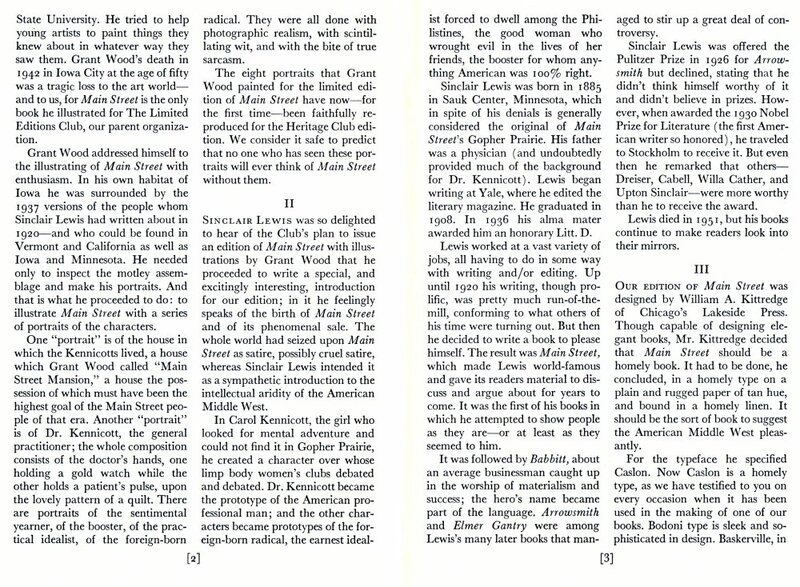 Elmer Gantry was the novel in which Lewis satirized religion and revivalism. A great movie was made of the book which won Burt Lancaster a best actor award in the early 60s. Of course many people disliked Lewis since he was continually making sport of American icons; eg, smalltown America, boosterism and business men, and religion and revivalism. It would be nice to see this talented American author become popular again. None the less, the three books mentioned above, with perhaps the addition of Arrowsmith and Dodsworth, will provide hours of enjoyable reading. Boy, was it ever worth the wait! Fab-u-lous. PS Another “gun-cotton binding” I see! They certainly seem to wear well. Glad you approve! I presume you’re a George Macy Devotee? I recently visited the Cincinnati Museum of Art where I viewed a Grant Wood oil painting. It was the iconoclastic Daughter’s of the Amrican Revolution which shows three ladies with their tea cups held delicately and looking out on the viewer in a very demeaning attitude. I remember studying Grant Wood in a modern art appreciation course which I took as an undrgraduate. 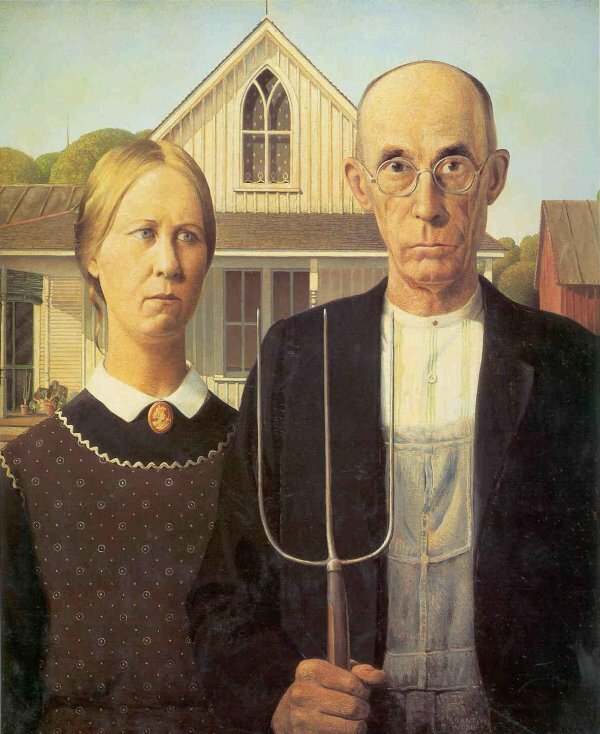 His American Gothic and the DAR are two of his most famous iconoclastic works. While American Gothic has been used several times by advertising people, the most famous in this arena is probably that used by the late Paul Newman and Joann Woodman to promote Newman’s salad dressings and other food products. The faces in the Wood painting were replaced with Newman’s and Woodward’s. I’m not sure if I like the brown paper used in this one. It reminds me to much of all those browned-with-age paperbacks I gave up when I started collecting Heritage Press titles. How is your copy? 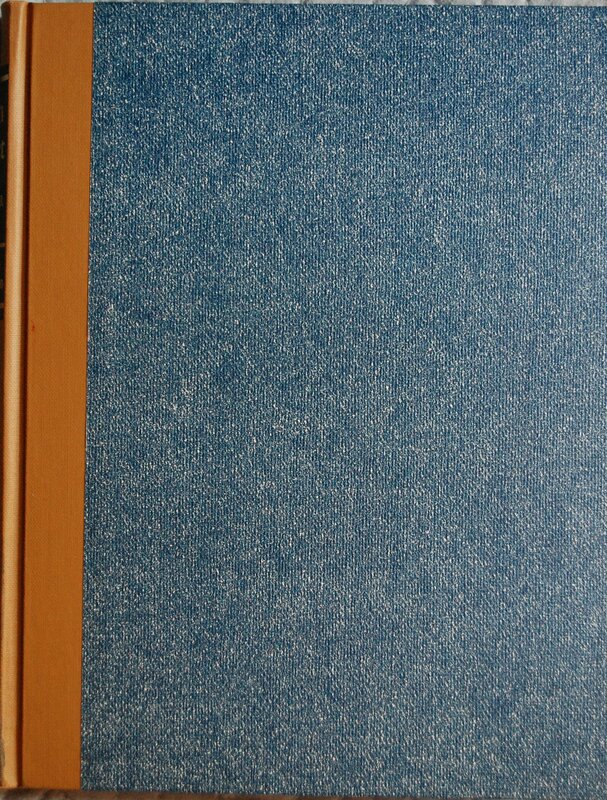 I happen to like the pages being brown; it gives it a rather distinct look from many of the other books I have, and it’s quite nice for a Connecticut era printing. In short, I’m quite happy with it! 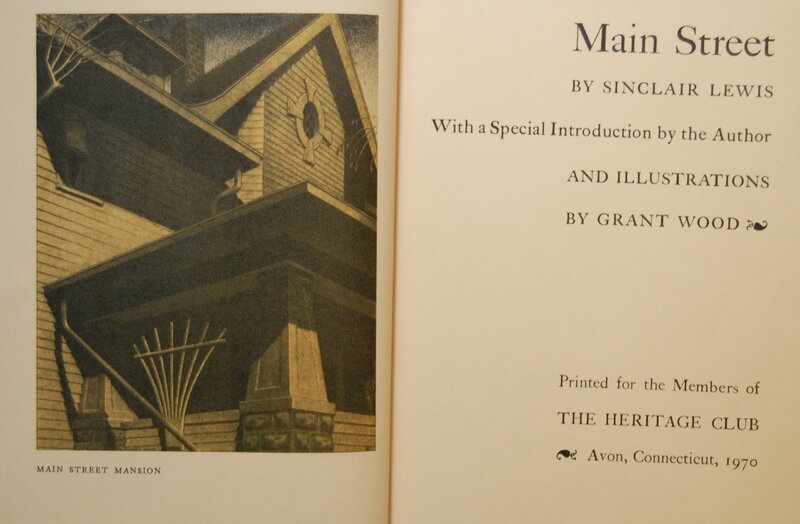 You are currently reading Heritage Press – Main Street by Sinclair Lewis (1970, Connecticut) at The George Macy Imagery.